Just a very personal note to congratulate you and your teams on the outstanding job you have done in our new home. The fabulous interior now matches the spectacular grounds. For the second time, you interpreted our needs and taste with sensitivity and efficiency. Despite the size and complexity of the renovation project which sometimes rattled our nerves, you made the ordeal of living through it all almost painless. We are lucky to have such a lovely, loving friend and, in our opinion, the best interior designer in the world. It will be a joy to recommend you. We wish you much success and happiness in your personal life and your career. I would like to take an opportunity to offer my recommendation for our Modern Interior Designed Condo by J Design Group. My condo is perfect! It’s exactly what I was looking for. I’ve always dreamed of living in a high-rise condo on the water so when I had the opportunity I packed my bags and moved to Miami. With such great anticipation of a new lifestyle in a new city, I wanted to make sure my place fit into this dream come true. Jennifer took such great care of me. She was like a long lost family member. She evaluated my space and took it from there. I didn’t have to do anything and I had total trust and confidence in her and her team. I wanted classy, sophisticated and fun; that’s exactly what I got! J Design Group exhibited many of the qualities that are essential to businesses today. 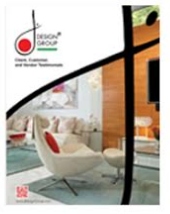 I highly recommend J Design Group to anyone looking to make a house into a beautiful home. I am now a loyal customer and look forward to working with her again in the future. I would like to thank you for the wonderful experience Murray & I had dealing with you! Having to renovate our Florida apartment and furnish it while living thousands of miles away in another state would have been an almost impossible task for us. Although we received numerous wonderful recommendations one is skeptical when one cannot be there to over see the project. Having come down once before the project began, and then again when it was almost completed and to walk into a beautiful luxurious apartment decorated from top to bottom with fresh flowers to welcome us was an amazing feeling! You went above and beyond with all the lovely extras and finishing touches that I could never have accomplished on my own even if I was able to be there. Your aim was to please, and that indeed you did. Whenever I was unsure about something in the apartment you changed it before I could even ask. Your taste was impeccable, and your personality made it always a pleasure to deal with you. Thank you for doing such a wonderful job! I am happy to give you a reference should you ever need it. Please let me extend my congratulations on being honored at the South Florida Chapter of the American society of Interior Designers’ annual Design Excellence Awards Competition. I learned of this outstanding achievement while reading an article in The Miami Herald Neighbors. I understand that you won top honors in three major categories of design excellence at this prestigious event. I am certain that through your hard work and determination you will continue to perform at this high level of service to your clients. You and your colleague, have contributed much to interior design in our area. Please accept my best wishes for your continued success in this important field. After a second full day of living in this new home I am experiencing a feeling of shortfall, my words of gratitude and attempts to tell you how wonderful I feel in this new home, as a result of your work, fall so very short of the emotional impact on my life. The design elements of each room are so soothing, subtle, modern, sophisticated and elegant and everything is so liveable. The many plants and flowers add natural rejuvenating life elements. This morning the mosaic pool tiles were reflecting the blue and green we have talked about and also a shimmering pink. Very surprising and welcome. As the sky changes color so does the tile. The layers upon layers of your artistry reveal themselves moment by moment. Thank you so much for sharing them with me.